Confused about surrogacy law? Of course you are. There is so much information out there and it can be overwhelming to navigate a new area. After answering the same questions hundreds of times, I decided it was time to put some of those answers into a visual resource. 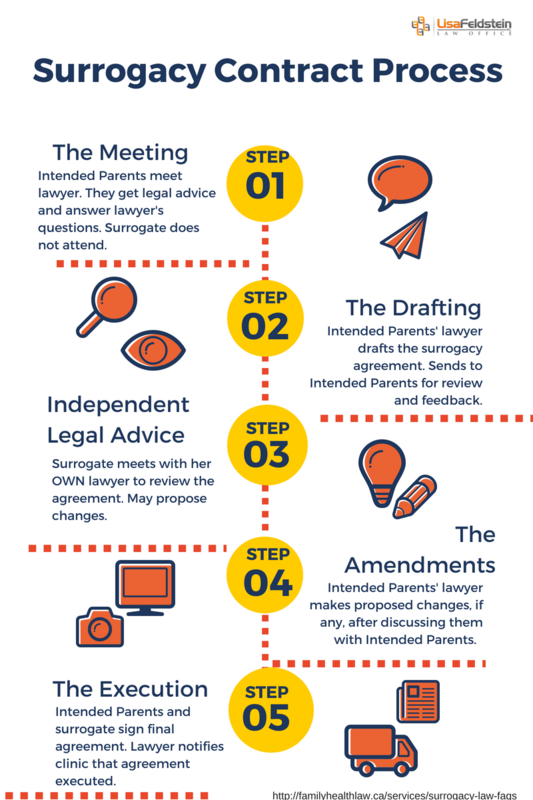 So here it is - our infographic outlining the 5 main steps in the surrogacy contract process. One thing to note: surrogates have usually passed medical clearance and counselling before the surrogacy contract process begins. However, you may wish to speak with a surrogacy lawyer before finding a surrogate so that you know what qualities to look for or avoid.